Some days are so full of amazing journeys that I have to choose between them when I write my blog post. Yesterday was one of those days. My son was promoted to sergeant in his police department, there was a surprise that confirmed how amazing the journey is, and I concluded my day by attending a demonstration of the beautiful and passionate flamenco dance at MSSU. I chose yesterday to share about my son and his journey, as I have watched that one unfold for years. It was a proud moment for him and for his dad and me. The surprise from yesterday is part of a journey that has unfolded over a couple of years, and that will ultimately conclude next April. I’ll share that story today! A little over two years ago, my grandson Dayan, then 14 years old, called me early on a Saturday with a request. “Can you drive me to St Louis?” That city is 4 hours and 19 minutes away. 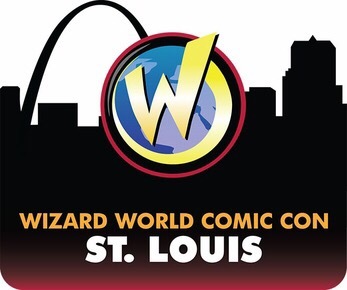 Dayan had just found out that morning that Matt Smith, the 11th Doctor from Doctor Who, and Karen Gillan, who played his traveling companion Amy Pond, were at the Wizard World Comic Con in St Louis. He so wanted the opportunity to meet those amazing actors/characters from one of his favorite shows. As a Yaya, I practice saying “Yes!” as often as I can. I knew how much seeing The Doctor and Amy in person would mean to my grandson. Greg was willing to drive us to St Louis. Sadly, we discovered that the tickets needed for the event were sold out. There was no point in making the trip. However, I told Dayan that if there was another opportunity in the future to attend a comic con that featured The Doctor, I’d do my best to get him there. Two years passed. 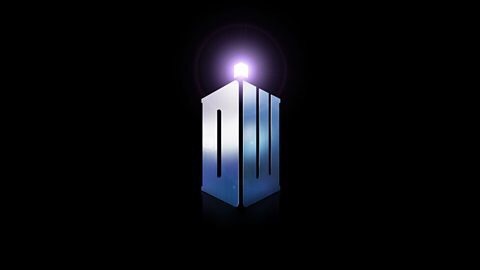 Last fall, I began watching Doctor Who, beginning with the first series in New Who, as it’s called, to distinguish it from Classic Who. Christopher Eccleston was the 9th Doctor and Billie Piper his companion Rose. I had only watched five episodes before Dayan suggested that we watch the series together. A tradition was born that is still continuing. Once a week, during the school year, I pick up Chinese food and Dayan after school and we watch a couple of episodes of Doctor Who. During this past summer we worked in some binge watching. By the time the 9th Doctor regenerated into the 10th, at the end of the first season, I was a fan of the show. A HUGE fan. With the transition from Nine to Ten, David Tennant assumed the role of The Doctor. I love this Scottish born actor. He brought his own charm and infectious joy to the role, a playful Timelord who explored the universe with Rose, still portrayed by Billie Piper, meeting challenges and saving worlds with no weapon save a sonic screwdriver. 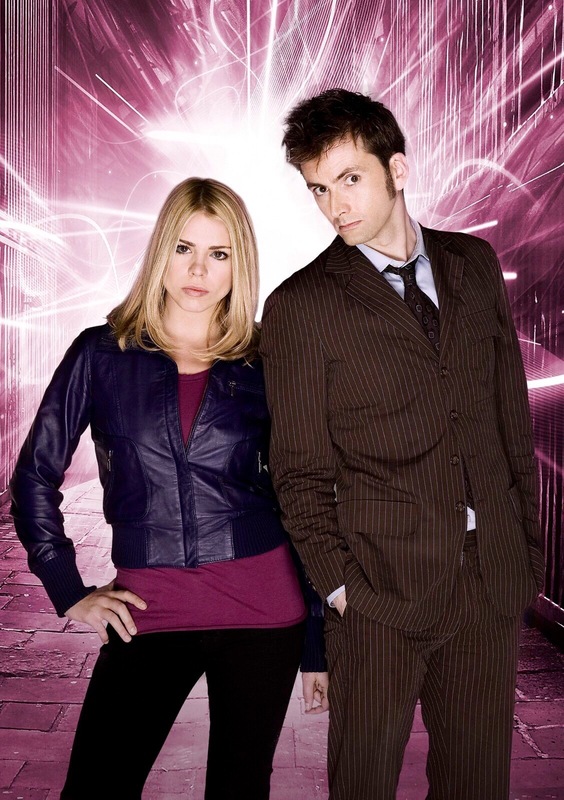 Although Tennant stayed in the role of The Doctor for four years, Piper only played Rose for one of those. The story of The Doctor and Rose is filled with whimsy and fun, adventure and love, and at the end of their time together, angst. 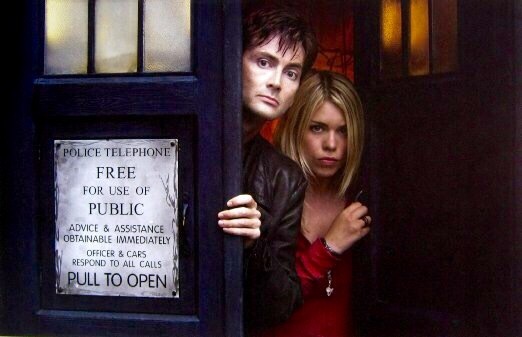 Say “Doctor and Rose” to most Whovians and they will say “awwwww” with a sad look on their faces. I renewed my determination to take Dayan to a comic con, especially if the 10th Doctor was present. I now wanted to see The Doctor too. We put that intention out there. A couple of months ago, scrolling through my Facebook news feed, I was stopped by an anouncement through the David Tennant fan page. 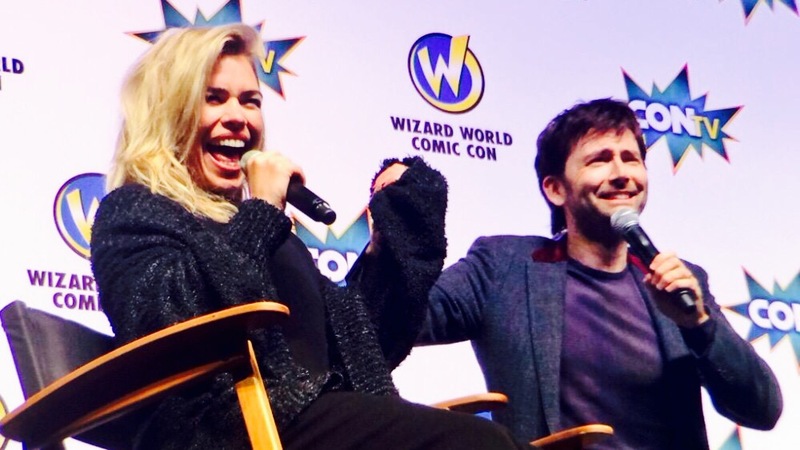 Tennant was coming to Wizard World Comic Con…in St Louis! Next April. I was excited. Dayan was excited. By the next day, it was announced that Billie Piper would be joining him. We were beyond excited! It’s not easy to get tickets to a VIP event at comic con. The tickets sell out quickly because of limited availability. And tickets aren’t cheap. It’s the rule of scarcity. I told Dayan I would do my best to secure each of us a VIP pass, which gains entrance to comic con plus allows the holder to sit in on panel discussions, meet the actors, and get autographs and have photos taken with both. He understood. We agreed that if we were meant to go, all would unfold perfectly. If we weren’t, it wouldn’t, and we accepted that. I asked for God’s guidance…to smooth the way if this was going to happen. Make me aware. Nudge me when I needed to be nudged. And then I let go of the outcome. The VIP tickets were supposed to go on sale at the end of October and then that was changed to November 15, according to the website. I have been blessed with a multitude of closings, with more scheduled. I felt that financially, this was very doable. I was ready. I was watching, without stressing about it or feeling anxious. If the event came to mind, I immediately said, “Up to You” and let it go. Yesterday I kept getting these nudges that the tickets were about to go on sale. But it was the 10th, not the 15th. I checked the site and Facebook. Not available yet. I went to my son’s ceremony. Back home, while waiting for him to complete his shift so Greg and I could take him and Megan to dinner, I strongly felt I needed to get on Facebook. The first post that I saw in my news feed was from the David Tennant page, announcing VIP tickets for St Louis had just gone on sale. That moment. A very short time later, I sent Dayan a text with a picture of two VIP tickets, and the words, “And then there’s this to look forward to…we are going to COMIC CON!” His response was priceless. And filled my heart with joy. Only today did I realize that they put the tickets for David TENnant, the 10th Doctor, on sale on the 10th. Had I not checked until the 15th, I believe they would have been sold out. I am grateful. I’m grateful that I get to do this for Dayan and with Dayan. Attending a comic con will be a first experience that we can share. We are both excited to meet Tennant and Piper, The Doctor, for goodness sake, and Rose. And I am grateful for this amazing journey that continues to teach me about trust, about being open to everything and attached to nothing, and that nothing in my life is too insignificant to God. There’s no mistaking the presence and guidance of the Divine in the unfolding of events. How can I not walk in complete trust and surrender? We have a few months before the road trip. And that’s okay. Dayan and I will enjoy the anticipation and my grandson reminded me today that it is common to attend comic con in costume! I need the time to plan. But come April, it’s St Louis here we come! It will be a blast!